Art print, 8x10 inches on watercolor or velvet finish stock. Available matted for 11x17 frame. 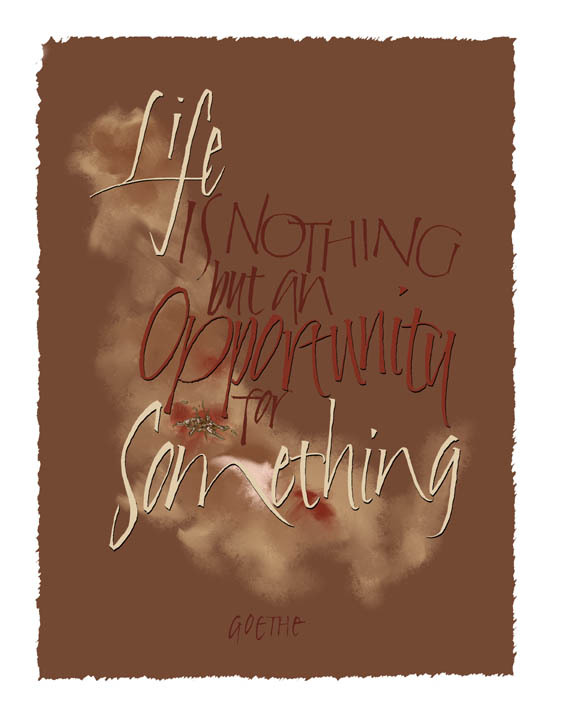 All of the prints have a small splash of gold hand-applied just above the word "Something"